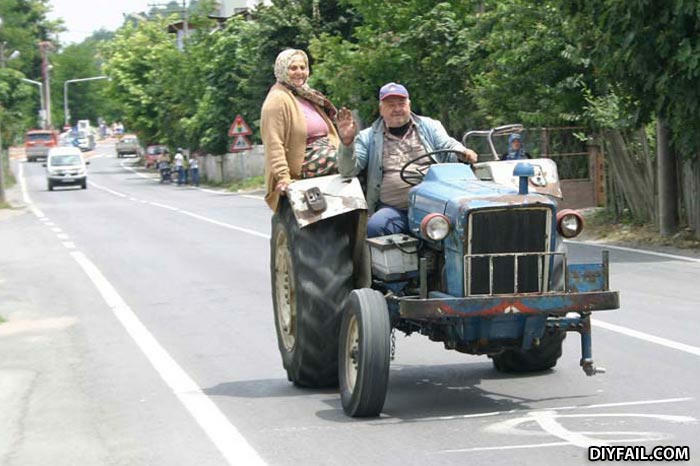 Since he lost that wheel, his wife has become indispensable. When Pa told Ma, he was going to ride her fatazz from morning till night, she had something totally different in mind. and they laugh at us for been fat ja! Hunny.. remember that joke i made about your spare tyre? In Soviet Russia, tractor drive YOU!